Killer fun. Rank these hungry hunters. The biggest, the fastest – and the fiercest! Which marine monster comes up trumps? Shark fans, listen up! These fact cards let you get up close to the ocean’s apex predators to rank your own king of sharks. 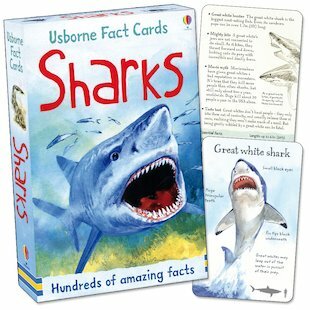 Each card features a different type of shark, with a stunning picture on one side and facts and stats on the reverse. Great for all kinds of cool games.